In this episode I talk to Allan Daniels. He’s a third generation real estate investor here in Metro Detroit. We talk about his family real estate business, his really cool perspective on making mistakes in your business, how he’s funding his deals, and his pretty black and white take on Dodd Frank. First – crowdfunding is coming to real estate investing in michigan. Stay tuned for more information on this. It could absolutely change the way you do business. Second – my new friend Aaron Yates passed his builder’s license exam last week. So if you see him around, or run into him on social media tell him congrats! He’s going open a rehab business shortly as well. I did an interview with him that will air in the next week or so with all the details. But in the mean time you can find him on facebook at https://www.facebook.com/CkiProperties. Third – it looks like Detroit is now on the map. I received yet another request this week for bulk rentable properties. This time in the city of Detroit. So that makes two groups looking in the suburbs and one in the city. If you’d like to get together on one of these drop me a line at REITalkDetroit.com/contact. Fourth – Allan Daniels, my guest today, is scheduled to present two continuing education courses at the North Oakland County Board Of Realtors; one on June 25th at 10am and the other on July 30th, both at 10am. This is Captain Obvious reporting! Seriously – I really like being a rental property owner. And I really like most of my tenants too. But occasionally I get some clown who decides that they’re special and they don’t have to play by the rules anymore. Like paying rent on time. So I like to deal with these people quickly, because if I don’t they get worse. So if you have been following me for any length of time you know that I’m being a fan of cleaning up my rent roll a regular basis. I find the best time to do that is in the spring. And I consider June 1 to be “last call” for rent roll spring cleaning. Why? Because the best renters wait until the summer to move, so they don’t have to deal with the kids being in school or changing school districts. In this episode I interview Mike Simmons. Mike is a landlord, a flipper, a podcaster, and he coaches new investors on how to get started in real estate. Mike’s husband and father of three. He, along with his wife Nanette, started flipping houses here in metro Detroit back in 2008. He’s been successfully flipping houses in Metro Detroit ever since. In November of 2013, Mike started a podcast call “Just Start Real Estate”, with the goal of helping new real estate investors “Just Start” their real estate investing business. Mike also recently launched a coaching program which helps him work more closely with investors who want to either launch their real estate business, or take it to the next level! One REI news item this week – and it’s a serious one. It looks like the Fair Housing commissions across the country are stepping up their prosecution of of fair housing violations. If you are a landlord – I strongly encourage you to read the two articles that I saw on this, then do an internal review of your process and policies to make sure that you are 100% in compliance with fair housing laws. This is critical, because one of the guys that was prosecuted recently and fined $36k was investigated simply because he didn’t return a call from a renter prospect. You can find both articles and my blog posts that go with them at dennisfassett.com. Again – if you own rental properties or you’d like to, these articles are a must for you. And I want to remind you that I’m still looking to put a group of folks together to do some decent volume of suburban turn key properties for a couple of hedge funds that called me. So if you’d like to participate with funding deals, or if you can do some volume in the suburbs (not including cities like Pontiac or Inkster) then drop me a line at REITalkDetroit.com/contact and let’s talk. In this episode I interview Trent Dalrymple, former Hard Money Lender turned Real Estate Investor. Trent’s story is inspiring. He was cursing along with a profitable lending business when the government jumped in and changed the rules. Overnight he had to switch gears and find another way to earn a living. And he did. We talk about what he experienced and what he did about it during our conversation. No local REI News to report this week. Just a reminder though that I’m still looking to put a group of folks together to do some decent volume of suburban turn key properties for a couple of hedge funds that called me. So if you’d like to participate with funding deals, or if you can do some volume in the suburbs (not including cities like Pontiac or Inkster) then go to the contact page http://www.REITalkDetroit.com/contact and let’s talk. In this episode I interview Ron Walraven. He’s a former top REO broker turned real estate investor and deal maker. Ron is incredibly knowledgeable about REI. Having done over 3000 BPOs, he has a lock on property values which is a great advantage when he sizes up deals. 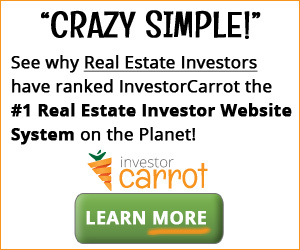 He’s also a great resource to new and experienced real estate investors. Even though we’ve both been in real estate in this area for a long time, our paths have really never crossed. So I really enjoyed sitting down with him and catching up. I think you’ll enjoy it too! My friend Oscar Garner has started a new company called Garner & Associates LLC. They’re doing Venture Capital and Commercial Lending, and so he’s now facilitating venture capital and commercial mortgage loans. If you’re looking for some big ticket funding, I recommend that you call Oscar and see if it makes sense to work together. You can reach him by phone at 248-718-0173 or email at garnerassoc@gmail.com. In this episode I interview Jeremy Burgess, the Detroit Market Expert and Urban Homesteader. Jeremy has been knocked down and lost everything. Twice. And he goto back up both times. I think he epitomizes the guts and determination that’s required to succeed if you invest in the city of Detroit. A couple of weeks ago I was contacted by two smaller hedge funds. Both are looking to build a portfolio of rental homes here in the suburbs. They’d both like to build up to a purchase volume of ten homes per month. So I’m looking to put together a small group of folks with the money and the ability to do that kind of volume here on a consistent basis.